Did some of it at home? Finish your Open Water Diver Course with us! What's included? The course includes the student manual, equipment, certification (once you complete requirements), snacks, water, park entrance/boat fees, and a ton of fun. If you have decided to complete your dive theory and pool sessions at home, we would love to help you finish your diving certification in the warm and beautiful ocean near Playa del Carmen or Tulum or in our amazing open, freshwater cenotes. To complete your Open Water Diver Course you will do one confined water session in the comfort and safety of our pool or shallow water dive site along with our experienced instructors that will help you out throughout the process to make sure you are 100% comfortable. Once we finish the shallow water portion, you will be ready for the open water diving experience. The water here is clear, calm, shallow, and perfect for your first open water diving experience. The dives will usually be conducted on the beautiful Caribbean reefs offshore from Playa del Carmen, Tulum, or Akumal, allowing you to see the marine life in the Mexican Riviera Maya. You may also complete a few of your dives in Casa Cenote (video) or Cenote Jardín del Edén, giving you an opportunity to witness the fresh water dive sites that are very unique to this area. This certification will allow you to dive with a buddy, anywhere in the world. So get ready to explore the ocean to a maximum depth of 60ft/18m. After you are done with Open Water, you should participate in the Advanced Open Water Diver Course to have even more fun underwater. 1 pm – 5 pm 2 Open Water Dives on the shallow reefs or Casa Cenote. 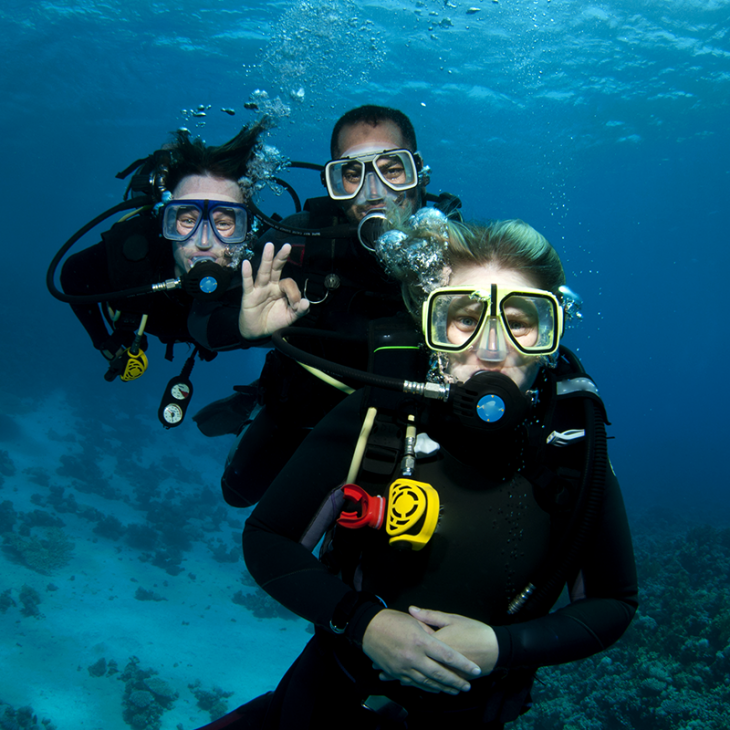 1 pm – 5 pm 2 Open Water Dives and course closing/instant certification. PADI Open Water with fun I have just completed the PADI Open Water with Blue Life scuba diving: course was professionally taught by Scuba-Steve,a great instructor and diver. I had a one to one course which I would suggest to ensure fast learning curve and optimized instructions. The course took slightly longer than expected as I got a cold after the first dive: the Blue life assistant Caro was very kind and helpful and ptoposrd to re-book me later to give few days for me to recover. All went smooth and I got not only instructive but also fun dives with plenty of sealife discovered for first time. Definitely recommended dive center for PADI course or fun dives. Highly recommend for certification! I did the PADI Open Water certification with Blue Life and it was an amazing experience! From flexible scheduling with Andrea to expertise and patience during training itself by Hugo, Isabela and Hannah it was the best experience possible! Equipment, dock and dive sites were all amazing. I really like this dive shop My husband and I spent a week in Playa del Carmen in Sept 2018. We planned to do our Open Water certification with Blue Life at the beginning of our trip, then join some friends for the rest of the week. We had so much fun during our first two days though, that we subsequently cancelled our remaining plans so we could do more diving. Andrea was our point of contact through email, and she was very responsive and helpful. She even tracked us down on Whatsapp so she could communicate with us easier. She was also very accommodating of all of our last minute requests and changes. Our open water course was done with Hugo, who is a fantastic instructor. We had so much fun the entire time. He also managed to squeeze in both pool sessions into the first day, so we did not have to return to the pool on our second morning. Instead, we did the Cozumel upgrade (which I highly recommend) for our 3rd and 4th ocean dives. We also did 2 cenote dives with Isabelle, and 2 with Bob. Both were great and very knowledgeable. I have pretty bad thalassophobia, and a dark, flooded underground cavern is pretty much the stuff my nightmares are made of. However, I did not feel anxious of worried in the least with either Isabelle or Bob. Overall, Blue Life is a fantastic dive shop and we would definitely dive with them again! Excellent open water course! I took the open water course during August 2018. I did my first two dives in Casa Cenote and the other two on the reef close to Playa del Carmen. My girlfriend joined me for the last two dives. Steve was our instructor. He was great: very experienced, detailed in his instructions, and meticulously made sure that I had grasped every skill necessary for the certification. I left excited and eager to dive again. The folks in Bluelife were very nice and friendly (thanks Andrea!). They very flexible to accommodate our schedule. Best experience ever! Since the beginning the experience with blue life was amazing, the instruction by Hugo was a really nice experience, such a good master.... if you want to learn how to dive, Blue life is your choice! The Best Dive Experience Ever!!! We recently traveled to Playa del Carmen with another family to do some diving. A few of us had previous experience but the kids were all first timers. Each of the girls (13,16,16) had to finish their open water certification there and we were a little apprehensive as to how it would all go. Little did we know that we were in great hands with Andrea and the amazing group of Dive Masters at Blue Life. Valentina watched over the girls with such detailed care it was amazing and Steve was the perfect guide for the rest of us that needed some brushing up as it had been a while since we dove. The next three days and 6 dives were awesome and the girls did great. Steve showed us so much detail in the reef and took the time to take some amazing pictures of us. Valentina was so kind and informative and on the third day took us on a tour inside the Dos Ojos Cenote that we will never forget. She is awesome!!! (and so thorough in her Dive preparation.) We will definitely be back! Kids first diving adventure couldn’t have been better! We came to Playa to share our love of diving with our teenage daughters. Everything about blue life was great. We did a referral course - took the pool and classroom in LA first. We had two dive masters that were perfect for us. Valentina for the girls, and Steve the expat for the parents. Valentina was calm, clear and thorough, calming iur girls fears. Steve had us up and running in no time as well. An old pro, Steve showed us great lobster, turtles, eel and more at every turn. He even brought out his GoPro when ours broke, and supplied great shots of our trip. We did 3 days- the open water dive off the pier, then off to Cozumel and dos ojos cenotes (which are a must do) Couldn’t have been better! We will be back, and blue life will be our guides, for sure! Open Water Course I greatly enjoyed my dive and study sessions with Valentina as she guided me to do my Open Water course. Great Experience. Staff Very professional and didactic I did the open water course without having previous experience in diving. The Instructor Leonardo Morante was a didactic and professional, allowing a very fast and safe learning. 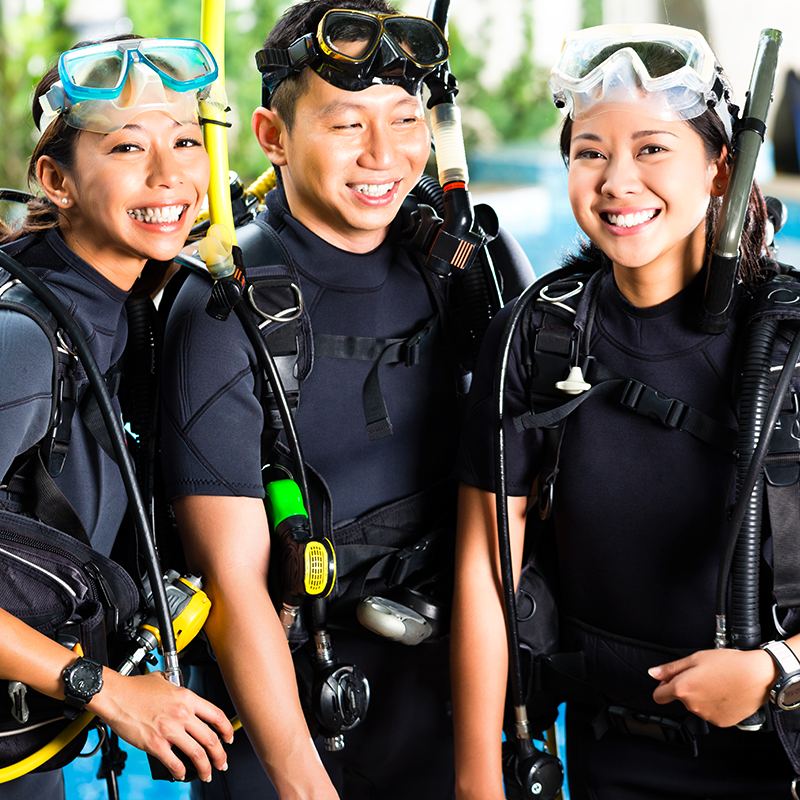 It is a safe and fast course recommended for anyone who wants to venture into diving. I could even enjoy diving in corals while doing the course. All the staff of Blue life was very friendly and professional. I recommend it. excellent care and skill - open water referral and dives My g-friend was ready for her open water dives to get her padi cert. I had used Blue Life for snorkeling the year before. They were amazing last year, and even better this year. Devon was our dive master. He was attentive, calm, communicative, and took excellent care of my g-friend. Devon sent a taxi for us each morning, and sent us home each afternoon in a taxi. We were briefed on what we would be doing before we did it. I wasn\'t crazy about the boat scheduled the first day. my g-friend got sick in the smaller boat and threw up. Devon got us a much bigger boat the next day. At 60+ years, I am not crazy about carrying gear and switching tanks. I mentioned this to Devon and he stepped right up and took over, carrying our reg\'s, switching our tanks etc. I can\'t say much more than these people do everything and anything they can to make you happy. And they are very safe competent people. My only hope for the future is they would invest in their own boat. One you can walk around in. That would be the ultimate dream come true and would complete this excellent shop. Open Water Scuba Certification This was my first time diving and it was amazing! Devin (the instructor) was very patience, knowledgeable and made me feel safe at all times. Vero, the shop manager, was great and made everyone feel welcomed, while keeping all activities on schedule. Ended up getting my open water certification, did 4 amazing dives and know I am ready to come back to Playa! Amazing experience, and most of all, amazing people! Great Experience! Recommended. 3 days of diving completed with this great \'team\' during our family vacation. Pre trip booking and communications were clearly and promptly handled by \'front of shop\' Marcela - who was an absolute pleasure to deal with. Added bonus is the ability to pay via PayPal! Expect to pre pay 50% and settle the rest during your visit. 2 days of the diving were OW referral for the young ladies in my family. They had great and attentive service and instruction from Devin and I was thrilled to be able to \'hang in the back\' of their dives videoing their drills and first experiences in the ocean. The boat service provided - 1 block from the store - was also excellent. Day 3 was a solo mission to Cozumel. I was provided a guide - Dalai - who was great company on the ferry to the island and provided top tier \'mexico city\' cab shortcuts to get us to and from the dive boat in super quick time. Dives were very good as I expected. Heartily recommend this young, friendly and welcoming team for family based diving. Excellent Cenote\\\'s Dives with Blue Life Wonderful diving operation run by really nice people. Reached out to them to help wrap up a certification I had started in Florida. From booking through to the end of the day they were highly responsive and very professional. Rimas, my instructor for the day, was excellent: easy going, and fun to talk to. The dives themselves were spectacular. Can\'t wait to go back and dive with them again. Lovely dive centre I booked to do my open water cert with Blue Life, and did the theory ( which they organised very efficiently) through e-learning before my holiday. This was a great way to not spend time cooped up trying to learn on your holiday, for those of us not quite fortunate enough to live on the Mexican coast! The staff there all seem lovely, friendly and very supportive of amateurs like me, and clearly massively keen on their profession. They were very informative about what dives there were to do around QR, but never trying to sell you something- the information was not profit-related! There are beautiful reefs here, clear water, and amazing sea life. Sarah, my instructor, was a great teacher; fun but professional, not patronising in the slightest , and clearly very experienced. Her calm confidence was great, I didn\'t feel anxious at all, and let\'s face it, diving is fundamentally not drowning, so being scared was a factor. If you\'ve never dived before, learn here, if you\'ve done loads, they offer loads of different diving trips and it all looks great! Can\'t recommend them highly enough. Open Water PADI Certification- Incredible experience!! My experience with Blue Life was absolutely incredible. I completed the pool training + open water courses with Hugo to gain my open water PADI certification (I did the e-learning beforehand at home). Hugo made my training very easy, smooth, and unforgettable. By the 3rd dive I was so comfortable I was truly able to enjoy my time under the big blue. The rest of the staff was so friendly and accommodating, I will 100% be returning to dive with them next time I\'m down in Playa. Thank you Blue Life for this incredible experience!! Excellent Open water course All staff very friendly, excellent teachers. Good teaching sessions in pool, wonderfull 4 dives at sea! I have seen beautiful fish, sea turtles, sting rays, moorays and a lot more. 5*, recommend!! awesome experience brought my daughter here to get certified. the instructors were awesome, they really went the extra mile to try and make the best of some bad weather we had. i was very impressed. Best Customer Service! We used Blue Life Diving to complete our sons\' open water certification dives. From start to finish, everything went smoothly and the customer service was top notch! I found Blue Life after reading other reviews. I had narrowed it down to three dive shops in Playa del Carmen. What made me decide to go with Blue Life was their customer service and prompt response. Fernanda not only replied to my emails very quickly and thoroughly, but arranged a time to call me and spent time on the phone with me (long distance to California) explaining their program, their procedures and answering all my questions. Their dive groups seemed to be smaller than with some of the other dive shops in town. Fernanda emailed me all the necessary paperwork prior to our departure from the U.S. so that I could complete and return them in advance. She also discounted our rental gear since we booked the referral course. The dive shop itself is nothing impressive and a block off of 5th Avenue. It\'s just a couple of blocks from the beach, so getting to their boat was easy and quick. Snacks were provided for surface time. My two sons (ages 16 & 18) were the only ones with the divemaster, so they got extra personalized service. They had a great experience diving with Hugo and Leo. Both instructors made sure they were safe, comfortable and enjoyed the dives. My sons can be very particular and critical, but they gave both instructors high marks! We were going to Akumal after our stay in Playa del Carmen and Fernanda offered to pick us up at our rental home in Akumal for cenote diving. She also printed our sons\' temporary dive cards and hand delivered them to our hotel once they were processed. The boys were given t-shirts upon completion of their course. I would highly recommend Blue Life Diving and would use them again the next time we go back to Playa del Carmen. First time diving with very friendly team! I just did my PADI open water certification with Blue life. I chose them based on the reviews, which very well deserved! From the planning to the actual dives, everything was organized perfectly, very responsive to all questions via email. But really it\'s how friendly the people are: thank you Valentina and Fernanda for making my stay such an amazing vacation! The training was well organized too, first in the swimming pool, then ocean, very good explanations. Although it was my first time so I can\'t really compare, the equipment was really good. They took the time to answer all questions. I also did the Cozumel dive, which was the highlight of the experience, so beautiful! I hope to be back soon! Excellent instruction! Blue Life Diving center was a perfect place to receive my open water diving certification. The instruction was professional and well structured. They provided well maintained equipment and a flexible schedule. Walking distance to the ocean. I can\'t wait to get back to Mexico to dive with them again! Brilliant We were two complete novice divers and from initial enquires to completing the open water dives the service was second to none. Very welcoming, made us feel at ease, the expertise of Hugo made it a brilliant experience, building confidence all the way, would highly recommend! Excellent! I had a great experience with Blue Life dive shop. I went through my open water certification with Blue Life, and Hugo and Roxy were patient and very knowledgable. I will be back to dive with this group. Fantastic experience. Amazing people. I stumbled upon Blue Life Diving by sheer luck, while looking to finish my PADI certificate. The entire team was amazing,from Fancesca (the front desk staff) who booked my dive the same day within an hour, to Hugo (the instructor and dive master) that kept me safe and took me to the most amazing dive places Playa del Carmen has to offer, to Sarah and Frank that took matters into their own hands and got my PADI certificate issued, despite the PADI site being down for a couple of days. An A+ experience. I highly recommend visiting Blue Life if you\'re looking for an awesome dive experience in Playa del Carmen or Cozumel! 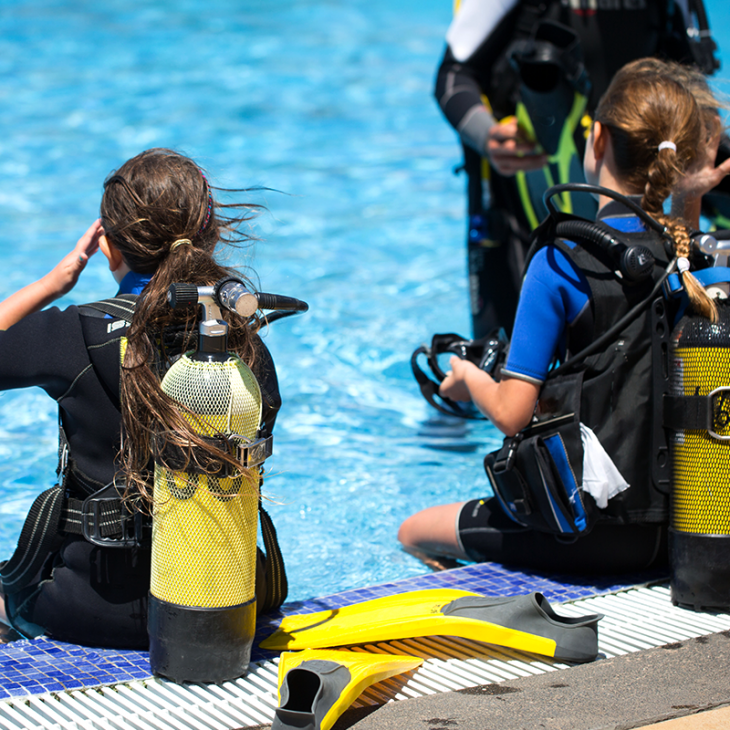 Excellent Experience After booking a holiday to the Riviera Maya in Mexico and deciding to we wanted to take our Open water certifications we looked on trip adviser for a diving school. We decided on Blue Life after looking at the excellent feed back from other people and we were not disappointed. From the communication from Sarah while we were still at home in England to the dives with Hugo everything was perfect. We decided to take the Scuba 101 package and booked the days we wanted with Sarah before we left home, she replied to my emails promptly and made arrangements for us to be picked up from our hotel for the days booked. We took our Open Water Course with Hugo who is a great teacher, he made it enjoyable and a great experience. The 2 extra days of sea and cenotes dives were also great, we saw turtles, stingrays etc, with Hugo pointing out various sea life like a lobster hiding in the reef which we would not have noticed. I always felt safe, even when I had trouble equalizing in the cenote, Hugo was there to help. We would like to say thank you to all at Blue Life for a great time and for making our holiday to Mexico one of the best. Amazing experience and team! A friend and I upgraded our PADI license from Scuba Divers to Open Water Divers with Blue Life Diving and it was awesome! Everybody in Blue Life Diving was extremley helpful. It was very easy communicating with Frank and Sara while planning our trip to Playa del Carmen. The diving experience was amazing: great spots, equipment in excellent conditions, always felt really safe, and everyone was very friendly. It was lots of fun! Open Water Dive Certifications My boyfriend and I went down to Playa Del Carmen to get Open Water certified, we also did the Scuba 101 package. We had two instructors, Hugo and Sarah. They were both fantastic! They were knowledgable, patient and passionate about diving, not to mention fun to be around. 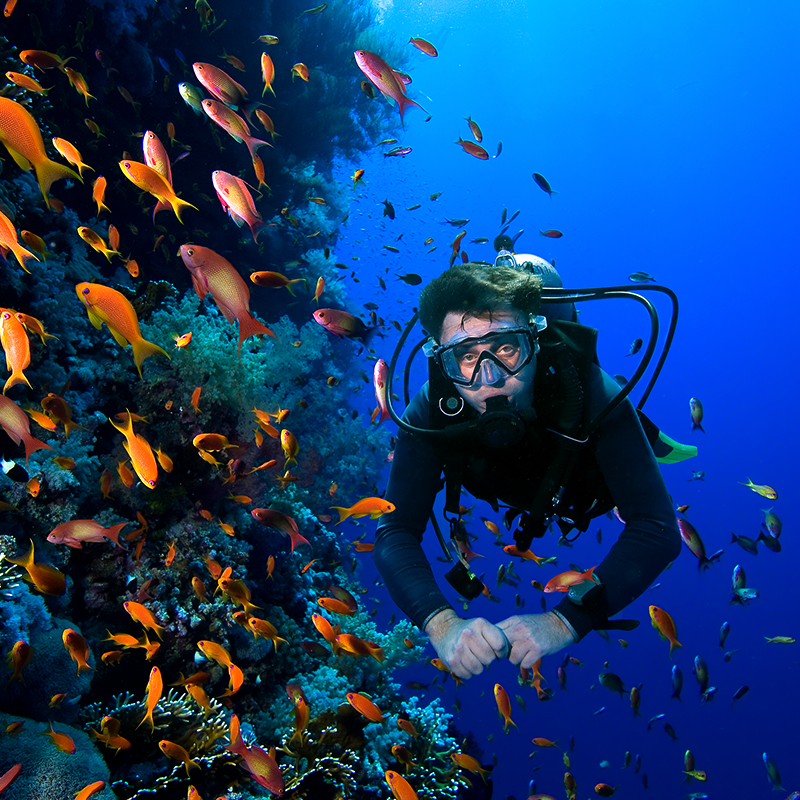 Blue life offers a number of different diving options, for all different experience levels. We both went down with hardly any dive experience (I had dove twice before with Blue Life about a year before - also a fantastic time) but we were able to do reef dives as well as Cenotes. I have nothing but good things to say about Blue Life and their employees. I would recommend them to anybody and everybody! Excellent training Exelente escuela y centro de buceo Muy atentos todo el tiempo Hugo de Llata mi instructor es una persona super agradable y muy profesional Me sentia super seguro con sus lecciones Gracias !!!! Scuba Diving - Open Water Certification My 13 year old sister and I completed our open water scuba diving certification with Blue Life. We had done all of our pool training back home, and decided it would be wonderful to complete the open water sessions in Mexico. We e-mailed with Sarah before our trip, and she was very responsive and quick to reply. Once we got to Mexico we had no internet connection so it was difficult to keep in touch. Someone from Blue Life was able to contact our hotel and we were able to confirm a schedule. Our dad came with us and he was not charged to save a place for him on the boat, due to my sisters age. The boat guides were not associated with Blue Life, but a third party company that allows guides and instructors to take divers out, so there were other divers from other groups on our boat. All great people! Both diving days, Hugo from Blue Life picked us up at our resort and took us to the back where we set up our equipment and walked out to the boat. Hugo was great with us and very helpful especially with my sister. She had a bit of trouble equalizing but Hugo stayed with her and assisted her for the entire descent. Hugo definitely made the experience less stressful, seeing as it was our first dive out-of-pool. We were unsure what to expect - but we did 4 reef dives which included our testing. We saw sea turtles, barracuda, lobster, sting rays, an eel, and tons of other fish. Easy to say this was one of the best experiences of my life and I would not hesitate to contact Blue Life to go on another dive, and will DEFINITELY be in touch with them if I am ever back in Mexico. Thanks again guys! If at first you don\'t succeed... Call Blue Life Diving!!! Over the last 10 - 15 years, I have tried twice to scuba dive...without success. But on my last trip, to beautiful Playa del Carmen, Mexico, SUCCESS!! Thanks to Blue Life Diving. Frank, who if I understood correctly, usually does the exciting cave dive instructing, personally took on the challenge of teaching me to dive...kind of like a college professor going back to teach Kindergarten. From the minute he picked me up to take me to the dive pool, he did everything he could to put me at ease and to make me feel like we were going to be successful. And I say \"we\" rather than \"I\" because throughout the whole process he made me feel like if I failed to be able to confidently and comfortably dive, he also had failed...we were very much in this together and my success was his success. Frank\'s patience truly shone through when it took me multiple attempts to even be able to stay three feet under water without panicking...he never made me feel rushed and I felt that he truly celebrated every little success with me. When it became obvious to him that I was too cold in the pool, he quickly got through only what we HAD to do before packing everything up and taking me to a beautiful and warm cenote where we continued our first day skills. I cannot describe how ecstatic I was that by the time Frank dropped me off that first day, I had successfully dived!! The next couple of days just got better and better, and I just can\'t thank Frank enough for everything he did to ensure my success. From making sure I was picked up on time (which is not always the case in Mexico), to ensuring that I was warm and comfortable by supplying an extra thick wetsuit, to just paying attention to all the details that made this an exciting and rewarding experience all around. In spite of my nervousness, I always felt safe...and I think that\'s what was missing in my previous attempts. I also had opportunity to make one dive with Willie, and he too was very patient and a great instructor. Blue Life Diving ROCKS!! I give them 5 stars and recommend them to anyone visiting the area and looking for the best diving experience available! Wendy Hunt Cavalier, North Dakota PS Frank, if you\'re reading this, when I dove in Belize following my certification in Mexico, I cleared my mask like a PRO!! Scuba Diving My wife and I started scuba diving with Blue Life in February 2015 and transitioned from the Discovery to the PADI Certification course which led to further dives in Two Eye Cenote and the Santa Rosa Wall off Cozumel. Being older (70 and 55) we took things slowly and carefully. No one could have been more attentive, patient or flexible than the Blue Life dive masters and scheduler. When the pool turned out to be too cold, they took us to Akumal for the remaining shallow water training. They made sure we were comfortable with the masks and equipment. All the while, it was just us and the dive master. Willian (Willie) introduced us to diving and, as the cenote specialist, took us to Two Eyes and one of the highlights of our month-long stay in Playa. Hugo shepherded us through the training dives and the demanding exercises required for certification, celebrating that achievement with us. Sarah adapted to our scheduling needs and even stopped by our apartment to drop off materials. They even set up our direct Playa-to-Cozumel boat trip to the famous and beautiful Wall where we made our last dive. Their local \"connections\" led to a spur-of-the-moment fishing expedition. Oh, and the price was comparable to companies that did not offer such personal training and diving. We would certainly choose them again for our next diving experience. Very accommodating The entire staff was outstanding. Sarah was very responsive with my requests and Hugo was a very patient and enjoyable dive instructor. I will use them again when I return. Fantastic Diving! This shop is amazing! We completed our classroom and swimming pool PADI certification components in Canada, and signed up for the Open Water Certification through Blue Life (we strongly recommend this strategy for anyone starting out!). Leo was our instructor, and he did an amazing job! We got lots of personalized attention and really enjoyed the experience. So much so that once we were certified we signed up for another dive later in the week. William helped make the arrangements, and was also a pleasure to work with. Friendly, relaxed, and timely service the whole time. I would undoubtedly call these guys up again if I\'m ever back down there. Thanks Blue Life! Don\'t let this pass you by Frank and his team are amazing. This was hands down the coolest adventure I have ever been on. I also received my PADI certification w Blue Life. I have never been diving before my first trip with blue life. I had such a great experience I went on 5 separate dives after the certification course, I felt completely safe with the dive masters at Blue Life. Ask about the night diving! Teen certification & first cavern dive My husband and I took our 15-year-old to the Riviera Maya to finish his dive certification with his open water dives. Owner Frank was in FL, but we got everything arranged via phone and email and he was very responsive. Pete was our dive instructor and we went to Akumal for the first dives in the afternoon. But storm swells had come up and it was pretty hairy. I wasn\'t sure my son was going to be able to do it and we were on the verge of seasickness, as well. Somehow, Pete matter-of-factly got us all into the water and down 30 ft. where it was calm and lovely. He was patient with our son and very thorough about running him through all the tests, with no \"free passes\" and he finished his open water dives. A day later we went to the cenotes. My husband and I had sworn we\'d never do closed environment diving, and fortunately, we didn\'t realize that\'s what this was until Pete started the briefing! We had thought we were just going DOWN into a cenote. Our son, the brand new diver, was gung ho, so we couldn\'t very well chicken out. And are we glad we went - it was gorgeous!! We went to 2 different cenotes, Garden of Eden and Taj Ma-ha. Beautiful light and caverns. Pete is an exceedingly experienced technical cave diver and took fantastic care of all of us. We could tell this was his favorite thing. We will definitely be back for more with Pete and Blue Life! The training was very thorough and enjoyable. I had a very enjoyable experience with blue life diving. The instructors where very confident and filled me with the confidence to complete all the neccassary tasks in the course. Amazing experience! My husband and I went to Blue Life to do our four dives for open water certification. Guillermo, who when not scuba instructing, does marine and cave-diving research for the government, was our teacher. I\'d always wanted to dive but was definitely apprehensive, so was happy to be in professional hands of somebody who had done hundreds of dives (and is somewhat local). Guillermo put us at ease, gave us a free skills review in shallow water before we went out, and the dives were just amazing. He was patient, and worked closely to ensure our gear fit us properly, and that we knew our skills for future dives. He was easy to follow and paid close attention, and I never felt like we were not being watched to ensure we were safe (which was my main worry with a larger dive shop with larger classes). Also, Karla was very easy to work with in scheduling, and Frank checked in us and our experiences midway through. I highly recommend Blue Life -- get your dive classes out of the way at home, and then do your certification dives with them. One of the most unforgettable experiences of my life! Can\'t wait to come back, and will definitely be calling them again! Book them now! My husband and I did the open water certification through Blue Life Diving a few days ago. From the start, I knew this company was something special. I communicated with Karla via email to set things up and her responses were always prompt and professional. I did not experience this level of professionalism with other diving companies I had contacted. Our diving instructor was Guillermo and he was great! He was very experienced and worked well with us. We did some ocean diving and some cenotes diving. I personally had trouble with the ocean dives (who knew I would get seasick?) and Frank arranged for an extra day of cenotes diving for me so I could complete the certification. Guillermo was also quite patient and understanding of my troubles and went out of his way to be helpful. Also, after hearing of my troubles, Frank called each day to see how things were going. My husband definitely wants to continue his diver training and ultimately wants to do some cave diving. Hands down, we will be contacting Blue Life again. Thank you Karla, Frank, and Guillermo for a great start to our underwater adventures! Blue life has been my greatest experience When I decided to be a certified I never expected that it would give me so much excitement, confidence and joy. Professional, kindness and super friendly I came in Playa del Carmen for my first time especially to do my Open Water course. So like a lot of people, I was looking for a dive shop on TripAdvisor. Found that place, Blue Life Diving. Look at there website, beautiful and simple. Send an email to have information about the course and within 24h, got an answer. Really good communication before I get there. When I got there, they help me to find the best wetsuit for me and they were really kind to help me with that. My instructor was Peter Tovey, awesome teacher. Lots of experience, always smiling and super friendly. 2 days of course and 2 days of dive and they bring me to the best place in town. I will recommend Blue Life to anybody who goes in Playa del Carmen to do some diving. Can\'t wait to come back to do more diving and take some advance diving course with them. I will remember my experience for the rest of my life. Thanks Frank, Karla and Pete!!!! Memory I\'ll Never Forget I contacted Blue Life Diving months ago before coming to Cancun Mexico for my vacation. Myself and my boyfriend were first time travelers to Mexico and wanted to try scuba diving. I was in contact with a employee who answered my questions in a professional and timely matter and even took the time to get to know what I was looking for while explaining the different types of diving atmospheres. I chose the Discover Diving experience because it was our first time ever diving. Pete was our guide and he was on time in picking us up for our discover diving experience. We had a lot of fun on the way there asked lots of questions and felt extremely comfortable with the responses given. When we arrived Pete was very informative and professional about the safety of scuba diving and ensured that all details were covered and any questions were answered and explained. Pete was always calm and relaxing as an instructor making the diving experience 100% stress free. Pete was always positive in making sure our first time diving was safe and an experience we will never forget. We conducted mandatory safety skills that were necessary for every diver to know. These skills were also explained and demonstrated before diving took place. Upon completing our under water safety skills we were able to start exploring the waters with Pete close to our side. We felt so comfortable and relaxed after the moment of nervousness set (being first time divers) it was amazing experiencing the water from underneath. We both recommend this company and will continue to use Blue Life Diving for our next trip to get our Open Water Certification. This company really prides themselves on the safety of the diver(s) as well as the experience for the diver(s). Like meeting friends Excellent diving operation and instructor and very nice people. We came to Playa del Carmen for myself to do a try dive and continue onto my OW and for my husband to do some xenote diving. We choose Blue Life Diving as they are so highly qualified (cave dive instructors) and Karla replied to us right away, upon query, and followed up very quickly with each of our many emails! Karla and Frank also had an apartment available for us to rent, which was very convenient for trying to work out where to stay. It happened to be in their same building so we met with them when we arrived and were able to discuss plans. They are extremely nice and friendly people, we met with them several times to discuss plans and though probably not normal practice, they even gave me a loan of their computer for me to work on my OW manual and reviews etc. (Being in the same building obviously made this easy too)! My instructor was Pete who is also a fully qualified cave diver. He is very friendly and methodical, giving me all the information I needed for my first dives. We went to Casa xenote for my try dive, which was really cool for a first dive. I felt comfortable with him as an instructor and can\'t imagine anyone could have been better! My husband did some xenote diving at Pit and Pet, also with Pete and absolutely loved it. We are very pleased at having chosen Blue Life Diving and as we are still here in Playa will probably see if we can do some more dives with them before we leave! Snorkelling in Dos Ojos Cenote - Stunning! Having just passed my PADI Open Water, cavern diving in Dos Ojos was out of my league. Frank, who was recommended to me by another Dive Instructor, was more than willing arrange a guided snorkel session in the cenote as a teaser for what I would see when I have a few more dives under my belt. He didn\'t try to pressure me into the dull dive. Both Frank and Karla quickly respond to emails, they are happy to be adaptable, arranged a pickup from the hotel I was staying at and do their very best to ensure that everybody has a fantastic experience with them and at their dive sites, even following up with emails afterwards. I\'ll definitely be going back to do the full dive with Blue Live! Open water certification Just got my open water certification! We did it in miami, fl and frank is a great instructor, very knowledgable and helpful.. Got through my first dive smoothly and felling great. Will recommend them to anybody looking to get into diving or even experienced divers.